The last several months in Israel have been an absolute whirlwind of politics. The election on the 9th was preceded by weeks and weeks of escalating political rhetoric, mudslinging and clever political videos (many from parties that didn’t even cross the threshold). 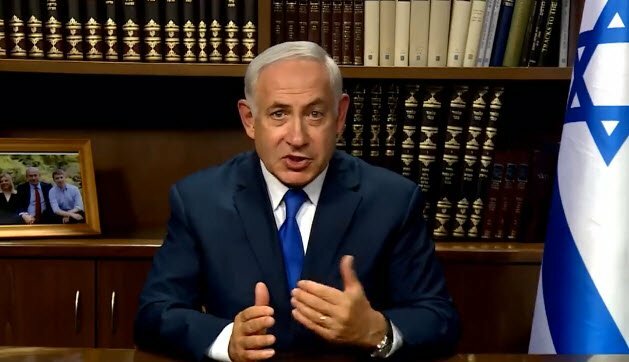 It ended with Binyamin Netanyahu being elected once again as Prime Minister of Israel, in spite of pending corruption charges, a mass “anyone but Bibi” campaign spearheaded by three former IDF generals and a TV personality, and vocal outrage by many organizations in the diaspora community. Much of the outrage from the diaspora organizations has centered around spurious claims of Netanyahu’s “racism” and the “end of Israeli democracy”, as if a person being elected by democratic means is somehow undemocratic. The most outlandish, but also least surprising reaction has come in the last two days, in the form of a letter to President Donald Trump in regards to the campaign promise Prime Minister Netanyahu made in the waning days of his campaign. The promise was, of course, to affect an annexation of Judea and Samaria. The letter, sent by the governing bodies of the American Reform and Conservative movements, as well as several liberal Zionist organizations, urges President Trump to preserve the Two-State Solution, and prevent Prime Minister Netanyahu from annexing Judea and Samaria. Among the concerns listed in the letter are that annexation “will lead to greater conflict between Israelis and Palestinians, severely undermine, if not entirely eradicate, the successful security coordination between the State of Israel and the Palestinian Authority, and galvanize efforts such as the Boycott, Divestment, and Sanctions movement that are intended to isolate and delegitimize Israel”. These concerns read like the concerns of people who are both living in the past, and far away from the realities on the ground in Israel. These are people who intellectually are living in a pre-Oslo world, and emotionally are still the hand wringing, frightened Jews of the Eastern European shtetl. Considering that Jews are still being stabbed, shot and run over on a regular basis by Arabs in Judea and Samaria to this day, I would say there is both considerable conflict between Israeli Jews and Arabs, and relatively poor security coordination between Israel and the PA. There was no annexation attempt in 2000 when the 2nd Intifada started. Prime Minister Ariel Sharon simply made a visit to the Temple Mount, the holiest site in Judaism. There was no annexation attempt in 2015 when mass numbers of stabbing attacks against Israelis were carried out in a concerted fashion by Arab terrorists (with the blessing of the PA). Again, it was in response to Jews visiting the Temple Mount. American Jewish organizations seem to think that terrorists need some kind of large scale provocation, when in reality, a new “Day of Rage” is called for on a near monthly basis, and anything Israel does, no matter how seemingly mundane can and will be used as a justification for the murder of Jews. In addition, the PA claims to coordinate with Israeli security efforts, while simultaneously educating its youth to hate Israel, and paying a hefty salary to incarcerated terrorists who successfully attack and kill Jews. This does not sound like a partner for peace, and certainly not a good neighbor, which is what proponents of the Two-State Solution want to see. Even if the desire for a state was the original goal of the Palestinian Liberation Organization terror group (it wasn’t) which became the PA after the failed Oslo Accords, generations of antisemitic propaganda and the lionization of terrorists killed while attacking Israelis has made statehood a secondary goal at best. How can there be “successful security coordination” with an entity that engages in such blatantly hostile behavior? The third point that the senders of the letter attempt to make is that it “will galvanize anti-Israel efforts such as BDS that are intended to isolate and delegitimize Israel”. This point reeks of the type of fear that kept most Jews from protesting against US inaction against the Holocaust in the 1940s, and against the treatment of Soviet Jewry in the 60s, 70s and 80s. This is the fear of people who feel that they have nowhere else to go, and therefore refuse to stand up for themselves, afraid that they will antagonize their hosts. Make no mistake, a Jew standing up for Israel’s security, territorial integrity and self-respect is standing up for his or herself. 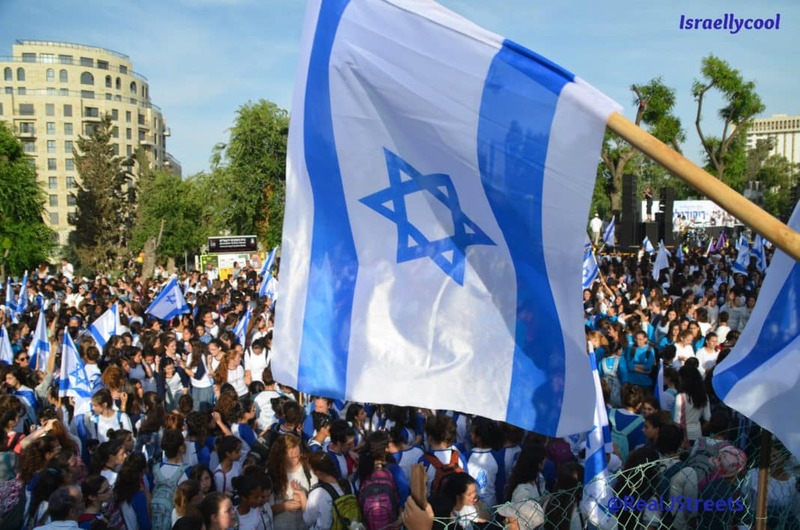 An objective look at Israel’s global position now as opposed to twenty years ago reveals a country that is stronger economically, politically and militarily, in spite of efforts by the UN and foreign NGOs to curtail that growth. BDS and other anti-Israel activity undertaken by left-wing organizations and activists in the West aren’t emboldened by Jews asserting control over territory won back after thousands of years in a defensive war. This activity is emboldened when people who claim to represent Jewry publicly and vocally condemn the democratically elected leader of the Jewish State. It is emboldened when Jews in Israel and the Diaspora take a soft, wishy-washy stance about Israel’s right to genuine security. It is emboldened when Jews anywhere publicize their fear. My genuine hope is that as more and more Jews around the world see the rising tide of antisemitism in the West, and the fearful inaction of the religious and political organizations who claim to lead them, they will begin to wake up for the need for pride, unity and the strength of the one entity in the world guaranteed to protect them at all costs. That entity is of course the State of Israel. We are no longer living under the Tsar, the Caliphate or Der Fuhrer, we have a country, and our country is strong. Let’s not weaken it by forgetting how far we have come from the days when we had no choice but to bow and scrape.